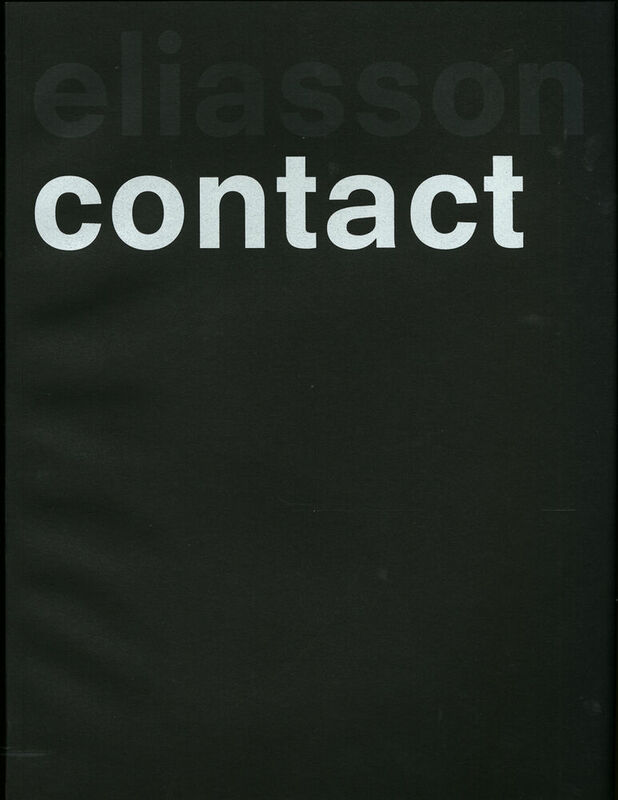 200 pages, 27.8 x 36.1 cm , 1558 g.
This striking catalog, designed by Irma Boom, showcases the spectacular work of world-renowned contemporary artist Olafur Eliasson. ﻿Contact, Olafur Eliasson’s inaugural exhibition at the Fondation Louis Vuitton in Paris, addresses the themes of light—or rather, darkness and shadows—space, and time in installations that create a visceral experience for the spectator. The book features critical essays, an interview between the artist and curators, and sketches and preparatory drawings. It showcases the artist’s works in full color on black paper, emphasizing the luminosity of the show, accentuating the interplay of shadow and light, and rendering this volume a collectible artist’s book.